There is a new kid in town and he is called “Smart Home Staging” the latest technology to help appeal to more buyers who are in the market to buy a home. 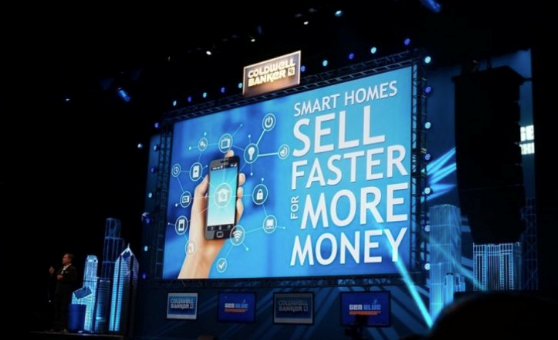 Coldwell Banker has created the first ever “Smart Home Staging kit” which is destined to be a Key driver in the real estate market for the coming years. This Hot New Trend is taking the real estate industry by storm. Not only do we need to provide staging transformations on our New listings using furniture and painting; A Smart Home Staged Home has the added benefit today to attract more buyers and something we have been implementing on several of our properties for sale. It can also be enjoyed by the homeowner today, and help their house stand out later when it comes time to sell. A recent survey conducted by Coldwell Banker found that roughly half of millennials and 42 percent of U.S. broadband households surveyed would "smart stage" their home to attract buyers. The survey also found that more than one-third of Americans (35 percent) now associate smart home technology with a move-in ready home – something that 71 percent of Americans would want if buying a house today. Having smart home technology in your home will enhance the value of your property, as well as helping it stand out to today’s savvy consumers. This in turns helps it sell faster and for more money. “Staging your home properly is key to generating buyer interest and getting the best selling price. In today’s competitive marketplace, millennial buyers are especially attracted to homes that incorporate smart technology. That’s why Coldwell Banker teamed with some of the leading names in smart home to develop the Smart Home Staging Kit. This kit easily and inexpensively converts your home into a certified Smart Home, and it’s available exclusively from Coldwell Banker.” Danny Hertzberg, CB Miami. Smart home staging is revolutionizing traditional real estate practice What is the definition of a Smart Home? A home with all of these systems in place is considered fully integrated. The Nest Learning Thermostat has become one of the most popular item, currently found in many of our homes today. The Nest is typically a first purchase for homeowners. The Nest learns your habits and will adjust the temperature in your home automatically, based on past behavior. It can be programmed from the comfort of your electronic device. Some other hits are the Nest Protect smoke and carbon monoxide alarm, Nest Cam indoor security camera and our favorite, the August Smart Lock: Like having a personal doorman. You can allow family and friends and workers by opening the front door or garage via your cell phone. August Connect and Lutron Caséta wireless lighting starter kit. Learn more on how to stand out in today’s fast paced real estate market. We are Smart Home Certified agents and would be happy to present our Smart Home Kit package. Every certified Smart Home on ColdwellBanker.com ​ receives a special smart home icon, letting buyers easily search for homes that incorporate this technology.